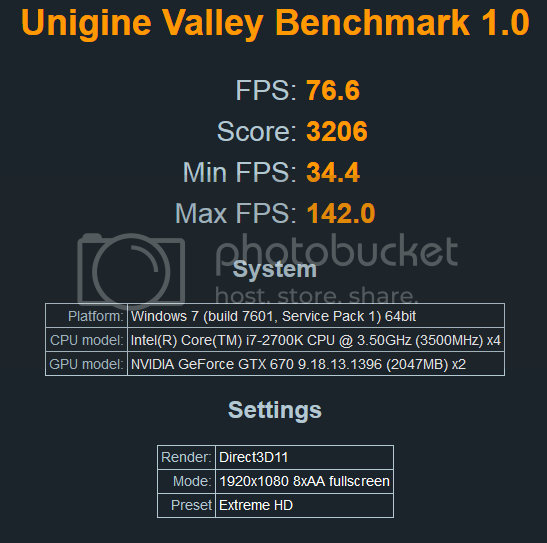 Valley Benchmark is a new GPU stress-testing tool from the developers of the very popular and highly acclaimed Heaven Benchmark. The forest-covered valley surrounded by vast mountains amazes with its scale from a bird’s-eye view and is extremely detailed down to every leaf and flower petal. This non-synthetic benchmark powered by the state-of-the art UNIGINE Engine showcases a comprehensive set of cutting-edge graphics technologies with a dynamic environment and fully interactive modes available to the end user. Offering a rare chance to experience a breath of untapped, crystal clear air, Valley Benchmark allows you to encounter a morning high up in the mountains when the snow-capped peaks are just barely glittering in the rising sun. Be it flying over the vast green expanses or hiking along rocky slopes, this journey continues as long you wish. Unique in every corner, this open-space world provides a wonderfully relaxing experience under the tranquil music and sounds of nature. GAME DEVS USE THIS ENGINE NOW! It does not work on my computer. Maybe because I am running Windows 8? It doesn't even make a shortcut. I got no errors when I installed it. Search all programs you should find it. Or go to start and begin typing Valley, it should pop up. I ran the .exe, but it gives an error. I have Windows 8 and will run this when I get home. Will post my results then. Looks nice, a bit too much blur going on imo. It works! I just runned the .bat file in the root folder. I had expected slower performance than in Heaven, but no, 90 FPS average, and that at extreme settings and 1920x1200. Hyperthreading on. 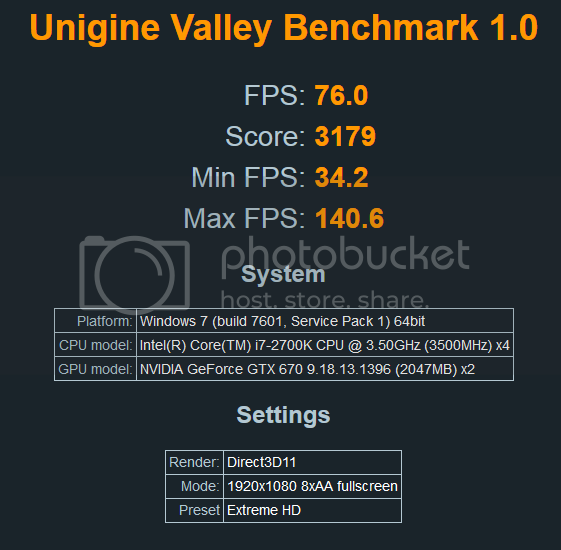 No overclock on graphics cards. Hyperthreading off. No overclock on graphics cards. I don't get why people go ape over this crap? Same goes for 3d mark and all that rubbish. Our games never look like this, and even if they come close they are designed to run on console, so are badly optimized for PC, and takes a computer worth over a thousand, just to get it to run smooth! But then why did we pay all this money for something that can be played at lower detail on a console that uses a card that's not even on the same level as a 9800GT? Is this what Pc people these days look forward to? Just to show of their hardware in a demo? I wish they would either make a game like this or just release it at some sort of components showcase! This is the ABSOLUTE MOST BEAUTIFUL thing I have EVER witnessed on a computer! I don't think I have been this mesmorized ever since playing Unreal and walking out of that prison ship and staring at the lush green landscape and that waterfall (back in 1997, that was a BIG deal). Is that what PC has become these days? Benchmarks? And strange people going "oh look at my 680 running this at 60fps"? It looks no different to Skyrim fully modded! This should blow your mind, not just oh it looks nice! What about wind effects and creatures floating around, and spines, and much nicer than this... Sorry but it seems today PC people are just being shafted... Anything unless it's a top end card can run these? Then the problem there is it's just a console based game that runs on hardware older than my house, but takes a super deluxe computer to do what a 7 year old console does? Does no one get angry over this? Y so mad? Go troll somewhere else. I Just bought the advanced edition for $19.95. IF you're angry about that, go back to your fully modded skyrim. And leave the rest of us alone. So your happy to play console ported ****? Where only a 680 can handle it on full specs? No wonder PC games are dying! Idiots who want to pay more for something that's not worth paying for! $20 Wow, I will leave you with the hours of fun watching a demo! LOL! Just more customization and looping options. For $19.95 I felt it was worth it to support such a nicely done program, although the free version is perfectly fine. I'm a nature buff, too. Then we are back to square one! Ultra PCs to run games at full glory that look maybe half or the same as good on a console! PC can handle far more than a console ever could but they optimize for console, and I hate this! And people get worked up over a demo? I'm a gamer who wants games to look the best but yet, it takes a demo or benchmark to do this? Are these for the geeks who hated Win95 compared to Win3.1, who spend hours tweaking instead of gaming?